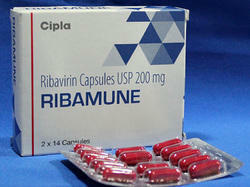 Prominent & Leading Exporter from New Delhi, we offer ribamune 200mg capsules, ribahep capsules and emvarin 200mg tablets. This medicine has the brand name of RIBAHEP and contains the salt RIBAVIRIN. It is manufactured by ZYDUS and is available in packaging of 140 tablets per bottle. 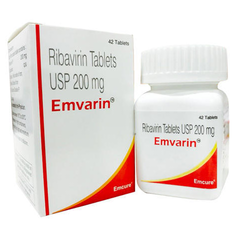 This medicine has the brand name of EMVARIN and contains the salt RIBAVIRIN. It is manufactured by EMCURE and is available in packaging of 42 tablets per pack.